More than 100 climate change activists have been arrested after blocking roads in central London. Extinction Rebellion campaigners were ordered by the Met to confine their protest to Marble Arch after causing widespread disruption on Monday. 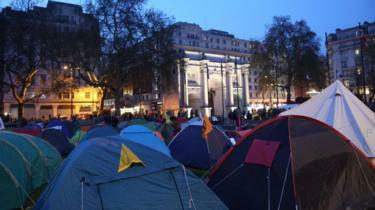 But activists camped overnight to hold other blockades at Waterloo Bridge, Parliament Square and Oxford Circus. 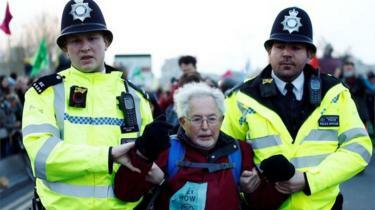 Among a total of 113 arrests, five people were detained on suspicion of criminal damage at Shell’s HQ. The majority of others arrested were detained on suspicion of public order offences. Transport for London warned bus users that routes would remain on diversion or terminate early. Extinction Rebellion, which is calling on the government to reduce carbon emissions to zero by 2025, wants to “shut down London” until 29 April in a series of protests. 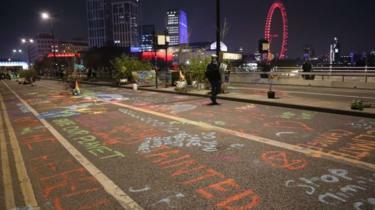 It called for “reinforcements” to help maintain the roadblock at Waterloo Bridge on Tuesday. 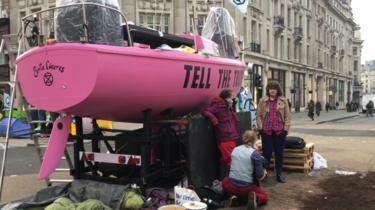 On Monday, a pink boat was parked in the centre of Oxford Circus where some activists locked their arms together with makeshift devices, while oil company Shell’s headquarters on Belvedere Road were vandalised. Organisers claim protests have been held in more than 80 cities across 33 countries. The second day of action will include speeches at Parliament Square about how to tackle climate change.